DURABLE AND STRONG – Our zipper fabric design that will not be broken easily.Lightweight and Compact. 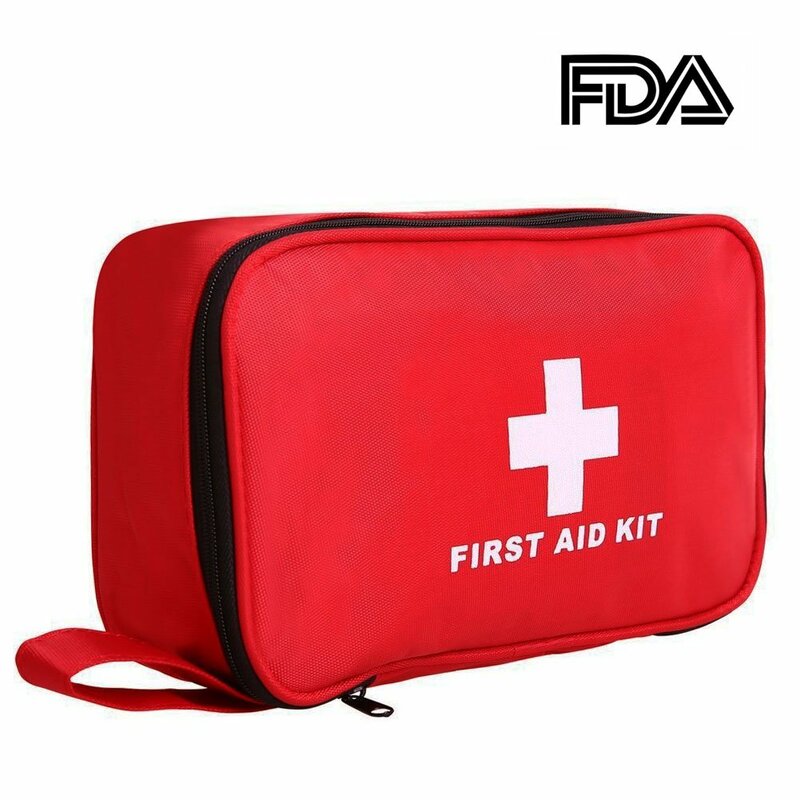 Forget bulky and heavy first aid kits.The bag is water resistant and all inner items are protected from water in durable laminate pouches. EASY TO FIND – Clear pockets fully organization is easy to access to exactly what you need.Easy to be prepared in your car glovebox.You will find that our kit has more and higher quality contents than any other on the market. Small and lightweight so you can carry it with you anywhere you go, or leave it at home, or in your car. Complete so you have the emergency essentials you need and want. >All shipments are shipped via USPS First Class (2-6 business day) from United States. 1.We strive for 5 star positive feedback. We try our best to offer the best service for our buyers. 2.Please message us via eBay before leaving negative feedback.Let’s solve the problems together! 3.Please give us a chance to resolve any issues before posting a feedback. 4.Please contact us with any questions or concerns. Thank you for your watch.